Healthy nutrition ca n reduce your risk of developing some kinds of cancer, high cholesterol, Type 2 diabetes, and other diseases. Ideal weight can be maintained long-term through consumption of nutrient-rich meals that will leave you satiated. With a carefully crafted diet tailored to your specific health challenges, it is possible to actually reverse disease and enable you to reclaim your health. We prepare nourishing, delicious meals for you, customized according to your personal tastes and with careful attention to accommodate your dietary needs. You’re living with cancer. The mental challenge of dealing with the diagnosis is brutal. You rally emotionally, only to face chemo, radiation, possibly surgery, with no promise that the road to come will be paved with improved health. You think positively, pray and somehow find the power to keep your chin up. But when everything you eat seems to disagree with you, taste wrong, literally hurt your mouth as you chew – or you just no longer have an appetite, how are you supposed to keep up your strength and your spirit? Let us nourish you. Your life is moving at breakneck speed. Your business (or charity work) has you traveling constantly and working incessantly. You can’t get enough rest and you aren’t able to get sufficient exercise or eat properly. On top of all that, in your position you’re supposed to look spectacular but your skin – well, it simply doesn’t. And no wonder, eating high-fat and preservative-laden meals and processed carbs late at night to finish one more proposal, grant, or project. Your clothes are pulling across your midsection – or hanging off your frame. 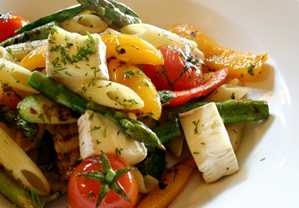 It’s your turn to be pampered with spa-quality, nutritious meals prepared for you. No foods seem to agree with you. After months of feeling lousy and scores of medical tests, you finally have a diagnosis. Whether it’s a food allergy or intolerance, the notion of a restricted diet in order to regain your health doesn’t sound so bad. But after only a few days of eating the same plain foods, you’re bored. You want variety, texture, spice, or you want to eat in a restaurant. So you cheat – and end up sick and guilty. Yes, it is possible to follow your gluten-free, low glycemic, iodine free or other special diet, yet enjoy flavorful, appealing, and eclectic recipes that are nutritionally balanced. We’re here for you. Weight management: Perhaps the pounds have crept on over a number of years, or a change in lifestyle has caused rapid weight gain. However it happened, you’re now significantly overweight or obese. Diets aren’t working and you know that your pattern of weight gain, diet, weight loss, weight gain is unhealthy. You don’t have the energy you used to or worse, you’ve developed Type 2 diabetes, high blood pressure, high cholesterol. You are considering bariatric surgery, but doctors have said that you’re not a good candidate because of your weight-induced health issues. Talk about a downward spiral. Time for a healthy start. Flare-ups from autoimmune diseases can have a dramatic effect on your lifestyle, sapping your energy and limiting travel, dining out, and ability to focus. Dealing with the effects of Crohn’s disease, fibromyalgia, Graves disease, or other autoimmune diseases can carry an emotional toll. You may become so fearful of causing a flare-up that your diet becomes a pathetic mix of bland simple carbs with little nutritional value. You can’t turn the corner back to good health without the vital nutrition gained by high quality proteins, complex carbohydrates, and varied fresh ingredients. 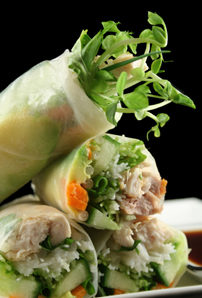 We can create wholesome yet varied meals customized for your unique health needs and your tastes. 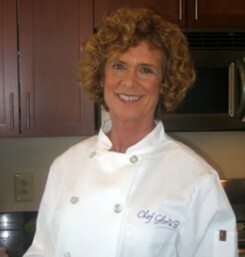 Gloria Bakst blends nutritional knowledge and delicious tasting meals to meet your health requirements. 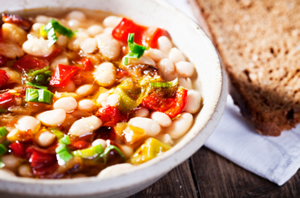 "Gloria Bakst is a knowledgeable, creative, experienced nutrition guide, teacher and chef. I have worked with her for many years and have enjoyed her flexibility, her grounded sense of reality about nutrition and people and her wonderful tasting food. Gloria is never judgmental about people's nutrition and always works to make her information and cooking useful and fun, as well as delicious. She is particularly creative in altering recipes and sharing food options for people's health needs. Gloria understands the therapeutic use of food in disease prevention and treatment, and also understands the need for celebration." Offering a proven formula for permanent fat loss, optimal health and all-around peak performance, the Zone diet has over two million followers worldwide. Zone Perfect Cooking Made Easy shows you how to adapt the Zone's 40-30-30 (carbs-fats-protein) formula to real food and to your life. It includes 150 recipes and daily and weekly meal plans.